Blended learning has a greater impact than traditional training programs that are limited to one training method. 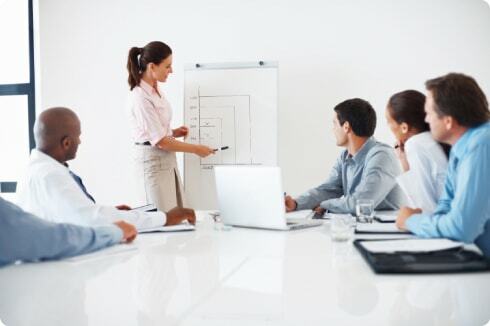 Employee Development Systems, Inc. provides a strategic combination of web-based training, structured one-on-one coaching, and instructor-led seminars. We utilize corporate assessments, instructor-led seminars and blended learning methods to resolve employee development, leadership, generational, professional presence, and personal effectiveness issues. Contact us to learn how we can help increase productivity and profits in your organization. 800-282-3374.